UKIP have been dismissed as “fruitcakes, loonies and closet racists” by none other than our illustrious leader and prime minister, David Cameron. Well, that tactic of insulting your electorate is now consigned to the dustbin of campaign tactics at Conservative HQ. Now the creepy line is “go to bed with Farage, wake up with Miliband”. But that doesn’t seem to be working either and someone is clearly not doing their job well in Tory high command. Last night, former Tory Douglas Carswell romped to victory in Clacton-on-Sea with a thumping majority of 12,404 with almost 60% of the vote on a 50% turnout. Mr Carswell resigned as a Conservative MP in August and stood as the UKIP candidate in the subsequent by-election yesterday. I heard throughout the campaign from the editor of BBC Look East through to the more eccentric Tory activists that the Conservatives were going to win in Clacton. Well, anyone who has visited Clacton over the last few weeks, as I have, could tell you UKIP were storming home to victory, energised not just by an anti-politics sentiment amongst the voters but, of course, Douglas Carswell’s personal vote as well. Shock, horror, but a right-wing Tory MP was actually quite popular in his constituency! Although the Clacton result broke all by-election records, the real fright of the night for the established parties was the other by-election in Heywood and Middleton – caused by the death of the sitting Labour MP Jim Dobbin – when a recount was ordered as the result between Labour and UKIP was so close. In the end, Labour only just pipped UKIP to the post with a majority of 617, down from almost 6000 when Labour held the seat at the 2010 General Election – a 17.65% swing from Labour to UKIP. Nigel Farage had not campaigned in the seat as his canvassers were telling him it was lost. Next stop on the by-election campaign trail is Rochester and Strood where former Conservative Mark Reckless defected to UKIP on the eve of the Tory Conference earlier this month. The date for the poll is yet to be announced. Categories: Politics | Tags: Clacton, Conservatives, David Cameron, Douglas Carswell, Heywood and Middleton, Mark Reckless, Nigel Farage, Rochester and Strood, UKIP | Permalink. I won’t be able to persuade the hard-core separatists. You know the ones: those you’ve seen on the news in recent days who swarm like moths to the lights of the TV cameras and wave their Yes posters and Saltires like it was the Nuremburg rally all over again. It’s funny how the Left always shout ‘racist!’ to any opposing view on immigration or Europe but don’t find it offensive in the slightest to demonise an entire race of English people. But I can’t say I’m surprised. Anyway, this post is a plea to the mainstream Scot whom I love dearly, those you don’t see making fools of themselves on national TV, the silent majority going about their business. You are part of me. I have Scottish roots through both my mother’s and father’s side of our family. The clue is probably in my surname! Please don’t leave us tomorrow. When polling stations open at 7am on Thursday, the voters of Scotland are going to be asked a question of magnificent proportions. If Alex Salmond’s separatists get their way then the most successful union in history will be gone – forever. And we will all be poorer for it: our economies will take a nosedive and our position on the world stage will be diminished. The answer can’t be changed in our children’s or grandchildren’s lifetimes – no one will be asked your question again for at least 100 years and probably 300 years. 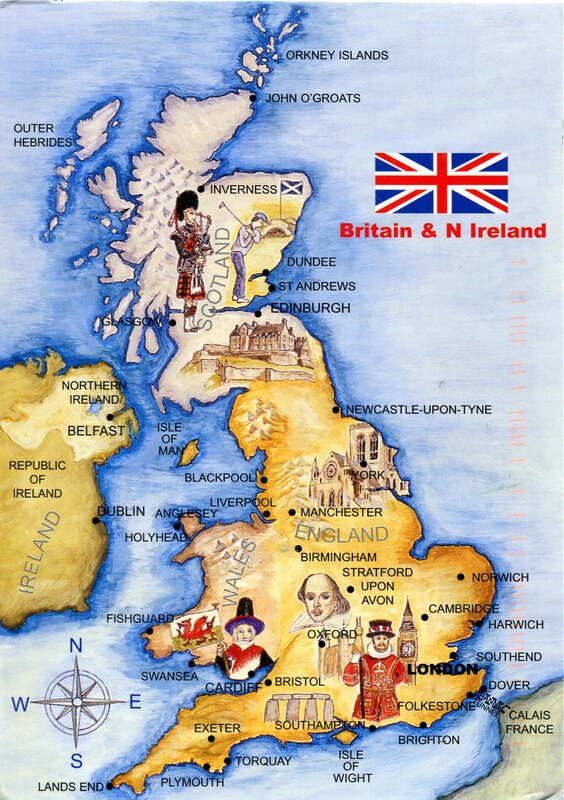 Since 1707, Scotland and England have joined together through thick and thin: we have together developed one of the most successful economies on Earth with Scotland freely selling more to the rest of the UK than every other country in the world combined; and our forbearers have contributed their lives, along with our Welsh and Northern Ireland comrades in two world wars, defeating Hitler’s fascism in 1945. We are Great Britain because of Scotland. Please keep us Great for another 300 years. I know you must be sick of the politicians popping up on your TV screens – I know I am. So I end my message to you with the words of the journalist Tim Stanley who has still summed up best why we in the rest of the UK so desperately want you to Vote No tomorrow and stay with us. Categories: Politics | Tags: Alex Salmond, England, Great Britain, Northern Ireland, Scotland, Scotland Independence Referendum, Tim Stanley, Wales | Permalink. 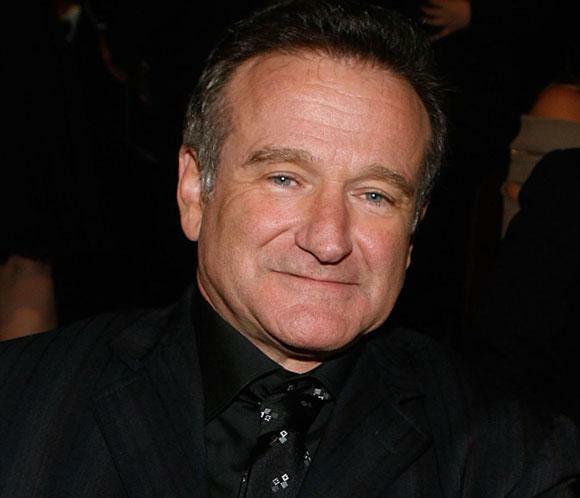 Will Robin Williams’ death finally put mental diseases on a par with physical? As a good friend of mine said yesterday, twenty years ago, the death of a celebrity by suicide, not accidental drug overdose, would have been quietly swept under the carpet by a media reflecting the public stigma of mental health issues. In 1988, another Williams and comedy virtuoso, Kenneth, killed himself too after battling depression, which, based on his earliest diaries, he had suffered all his life. The reaction this week to the very tragic death of comic genius Robin Williams was different, aided by social media, with much pondering of the terrible afflictions millions of people cope with, virtually alone and with very little treatment, every day. I hope this cacophony of output from the mainstream media, blogs, and social media on the suicide of Robin Williams does mark a watershed moment where the key decision makers of our world finally wake up to the fact mental health care is woeful, even if you can afford (which Robin Williams could) the very best therapy and medication scientists have developed. The problem is the very best therapy (psychological techniques and psychiatric medication) is little better than black magic or the work of witch doctors. The latest craze is ‘talking therapies’ or cognitive behavioural therapy (CBT) and although it does have some benefit there are elements which may indeed be counterproductive. It was only literally a few years ago psychoanalysis (lying on a couch talking about your childhood) was THE psychological way of solving depression and anxiety but that fell out of fashion. I believe CBT will also be discredited eventually. It must be said there are psychologists doing the best they can to develop mental health therapies with the resources they have available; I think in particular of Professor Mark Williams and his work on Mindfulness-based Cognitive Therapy (MBCT) at the University of Oxford, but this research is merely a pinprick on the mind. Scientists like Professor Williams receive very little funding – if he were a professor in oncology, he would be swimming in cash in comparison. But mental health is sadly the last to receive government funding for research into its cause and treatment. Very little is known about the way our minds work to the extent Professor Williams relies on ancient buddhist wisdom to develop his MBCT techniques because we know so little about the physiology of the most complex organ in our bodies: our brain. Professor Williams has saved lives through his research which applies experimental cognitive psychology to understanding the processes that increase risk of suicidal behaviour in depression. But note the word ‘experimental’. A lot of people can’t be helped and they decide their only way to stop the pain and escape their mind is to kill themselves as Robin Williams, with all his money to pay for ‘rehab’, chose to do on Monday. So, what can we do to alleviate this suffering? In Western democracies, it is our politicians who decide where to spend your taxes on researching diseases so if we care we must lobby them to spend more on mental health research (much more!). But it’s not just about money, but better leadership from our politicians. Sadly, I’ve only heard one politician articulate he gets it: Nick Clegg. The Liberal Democrat leader has pledged to establish a £50 million a year research fund to help bridge the gap between physical and mental health treatment if his party form a Coalition government with either the Tories or Labour after next year’s General Election. Mr Clegg said: “I want people who are dealing with depression to be as effectively treated as if they had diabetes.” This is wonderful to hear and the rhetoric should be matched by David Cameron and Ed Miliband immediately – but this has yet to happen. Much of the toned down rhetoric from all politicians is down to public opinion still not empathising with those who suffer from mental health problems compared to someone with a far worse condition such as a broken leg. We still have a long way to go if the big bucks are to be found to research the causes of depression, anxiety, OCD, schizophrenia and many more mental health disorders. Most research money for any disease is from private investors and, of course, public donations. We have an almost fetish obsession with cancer research. Politicians will say, well, it’s because cancer kills. Err, is suicide not death? Dinner party guests across the country will bang on about how they are doing the ‘Race for Life’ and will be wearing their pink tutu in the local fundraising park walk next weekend, but very few will announce they give money to MIND or the Mental Health Foundation for fear of being branded a bit odd, a nut-job even. Thankfully, this stigma is beginning to change but very slowly; hopefully this week’s tragic news will permanently help to diminish the stigma and kickstart a debate on mental health research funding. This is desperately needed by all those tormented by their mind. I give money to the Mental Health Foundation each month but other charities such as Mind or Rethink or equally worthy recipients of your support. Categories: Politics | Tags: mental health, Mental Health Foundation, Mind, Oxford Mindfulness Centre, Professor Mark Williams, Rethink, Robin Williams, University of Oxford | Permalink. Just as the news on Boris was no surpise, the UKIP leader is poised to seek to enter the House of Commons in May 2015 as the MP for Thanet South in Kent. 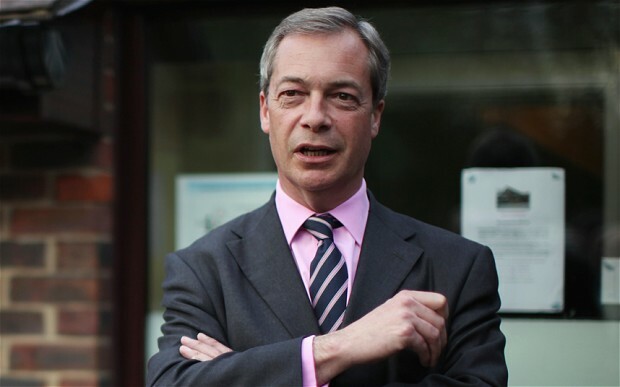 Nigel Farage is on the party’s shortlist for the seat making it a near certainty he will be selected. A poll financed by Lord Ashcroft last month for the constituency showed Ukip on 33%, the Conservatives on 29% and Labour on 29%. Categories: Uncategorized | Tags: General Election 2015, House of Commons, Nigel Farage, Thanet South, UKIP | Permalink. One of the Coalition’s huge failing is the lack of house building, which has pushed up house prices and locked millions of young professionals – who when their parents were the same age rightly expected to own their first or even second home – out of the housing market. The reason for this travesty is young professionals no longer vote. But their parents – the babyboomers – do, so it doesn’t take a genius to realise why no new houses are being built next door to mum and dad. The current hot weather also brings home the do-it-on-the-cheap mentality that developers pursue, when they are reluctantly given permission to build by the same babyboomer councillors, to ensure they meet affordable housing targets. Today, new build homes, or units in the developer parlance, are little more than rabbit hutches for humans, to save on material costs and to cram as many homes to sell into one tiny scrap of land. But that doesn’t mean the few young professionals who are lucky enough to afford a home of their own get a cheaper deal. Don’t be silly. They will still pay sky-high prices to subsidise the affordable home quota. And boil like rabbits in their hutches upon a summer’s night. Categories: Politics | Tags: babyboomers, Coalition Government, housing, rabbit hutches, voting, young professionals | Permalink. Better Together leader Alistair Darling danced rings around SNP leader Alex Salmond last night in a tour de force of rhetoric from the former chancellor as he exposed Salmond’s lack of answers on the currency an independent Scotland would use. The SNP leader said all the mainstream Westminster parties were bluffing in denying Scotland could continue to be part of a Sterling currency with the rest of the UK should they vote Yes on 18th September as the Labour MP taunted him saying even an 8 year old would have an answer. Salmond was booed by the studio audience as time and time again he failed to reveal his Plan B. Categories: Politics | Tags: Alex Salmond, Alistair Darling, Scottish Independence | Permalink. The media are going to have a field day over the next 10 months.